The United States government has a problem, and it’s about to cause major disruptions throughout the world. The problem is the U.S. government is about to run out of money. And if Congress can’t figure out whether to raise the debt ceiling or not, there really won’t be any money left for the U.S. government to borrow. So what is the most powerful nation in the world to do? Well… they could borrow money from Apple. Apple right now has more money (on hand cash) than the United States Government. According to BI, Apple recently declared financial results for the third quarter that showed the company had $76.2 billion (£46.8bn) in cash and marketable securities at the end of last month. In comparison, the latest statement from the U.S. Treasury shows that the government had $73.8 billion (£45.3bn) at the end of the day yesterday. 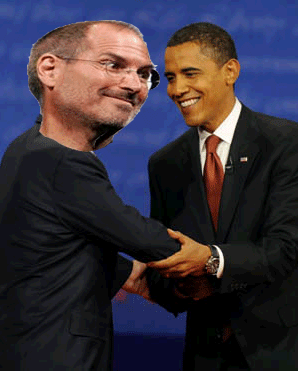 So with Apple having more money than the U.S. Government, taking out a loan from Apple might be a good option, right? But then I got to thinking about this scenario. It’s actually a bit scary to me that a company like Apple would have more cash than the United States government. After all, doesn’t our government need to pay for things like national security, medicare, and other essential elements that allow us to live in a civilized society? What do you think about Apple having more money than the United States government?